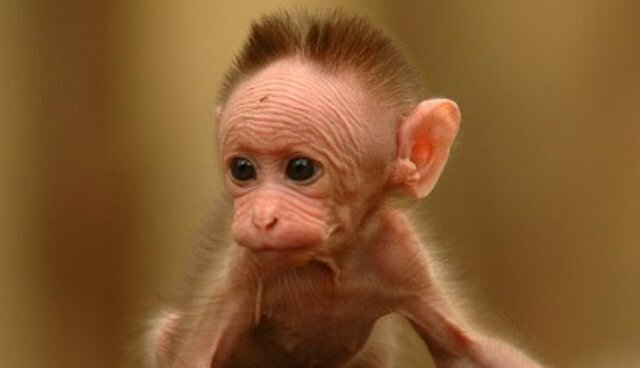 There's an old joke: "How many baby monkeys do you have take from their mothers to prove that maternal deprivation is harmful?" The answer: "As many as the NIH will pay for." The joke is old because it refers to the 1970s work of Harry Harlow, who removed primate infants from their mothers and housed them with cloth or mechanical surrogates. Some of the surrogates were programmed to abuse the infants, periodically jabbing them with sharp implements. Harlow may be most famous for placing baby monkeys in what he blithely termed the "pit of despair," a dark chamber in which they were entirely isolated for a year. The psychological damage incurred was permanent, not rectifiable by subsequent care and socialization. We learned much from Harlow about the effect of abuse and neglect, at great cost to the monkeys and to our humanity. Most disturbing was that once the devastating results were well demonstrated, the experiments continued for years, begetting the joke above. More recently, however, Institutional Animal Care and Use Committees at universities have made it somewhat harder to get funding for experiments when the benefit to humans is not expected to outweigh the suffering of the animal subjects. But people intent on scientific progress can devise ways to get around the committees that deal with morality. At the University of Madison in Wisconsin, decades after Harlow did his work there, the Institutional Animal Care and Use Committee has approved a proposal submitted by the psychiatry department chairman, Dr. Ned Kalin, for further maternal-deprivation studies. An article published by the Wisconsin Center for Investigative Journalism reveals that two years ago an almost identical protocol was never executed, partly due to internal opposition, including the objection of two committee members. This time round the protocol was not seen by members of the committee who had previously objected; supporters sent it to a subset of the committee, who gave it unanimous consent. After a year the monkeys will be killed, and their brains will be dissected. A control group of 20 other young monkeys who will be allowed to remain with their mothers for that year will also be killed and dissected at that time. The Wisconsin Center for Investigative Journalism article notes that there has been significant, even unprecedented, opposition to the study from within the University of Wisconsin. Nevertheless, the study, "Early Neurodevelopmental Origins of Anxiety," is scheduled to proceed, funded, according to the study's protocol, by NIH grant number MH100031. Rhesus monkeys have been selected because their similarity to humans in social behavior, emotion, hormonal responses and brain structure make them the best model for examining human emotion regulation as well as the risk to develop anxiety and depression. In other words, they're just like us. If the emotional abuse of baby monkeys is similar enough to the abuse of baby humans for the results to be extrapolated, how can it be OK? In the comment section under an article about the study, I saw Kalin and his team described as bullies; I think many people would find the tag fair. Bullies must be stopped, not rewarded, and taxpayer funding of their assaults is unconscionable. We must keep a closer watch on the National Institutes of Health if we'd rather not pay for profligate horrors like this.